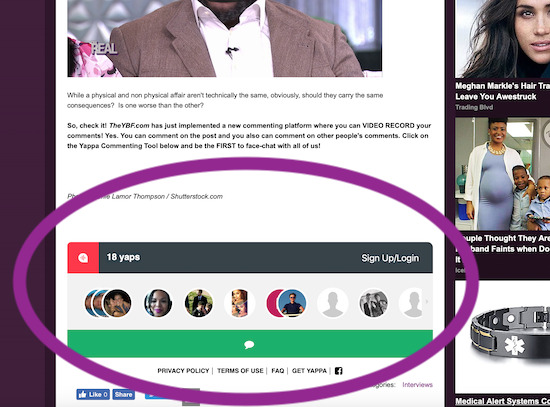 We've Got A Brand New Way To Comment On Every Post: It's Like Facetime For Commenting! Comments are always lit. So we stepped up the platform with Yappa, a groundbreaking video & audio commenting widget. You can now use it on every post on the site, directly beneath every post. Talk to us, talk to each other, and connect with everybody. Because now, you can be seen and/or heard while talking your ish about the breaking news and tea. We'll be sharing your best Yaps to our 300K+ followers on social media. Get to it!